A lot has happened in the world of open-source this last year. Let's recap. In many ways, I can’t wait to kiss 2016 goodbye. It’s been full of bad news, including the passing of greats like Muhamed Ali, David Bowie, and John Glenn. 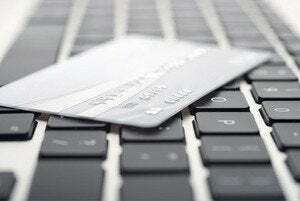 There’s been a rash of high-profile security breaches. There’s an ongoing crisis in the Middle East. And let’s not even talk about the election that doesn’t seem to want to go away. Despite myriad signs of the world’s madness, the year has actually been pretty good for Linux and open-source. There have been some big releases and announcements, and World Beyond Windows was there to cover them. 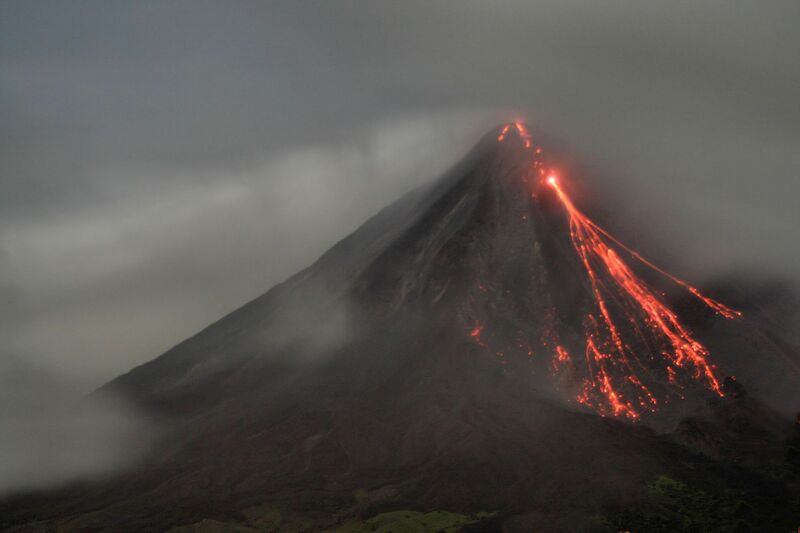 Here’s a look back at the biggest stories from the year. Microsoft has long been the adversary and evil empire in the eyes of the Linux community, but gone are the days of Steve Ballmer. While Windows is hardly on the brink of becoming an open-source project, Microsoft made big overtures to open-source this year. Microsoft partnered with Canonical to create the Windows Subsystem for Linux, a translation layer that converts Linux signals into signals for the Windows kernel (a sort of reverse-WINE). Microsoft and Canonical showed this off with the release of a Bourne Again Shell (bash) for Windows. Microsoft upped the ante more by making its Power-Shell open-source, and making it available on Linux and Mac as well. And finally, Microsoft officially joined the Linux Foundation, something that nobody would have predicted back in 2003. 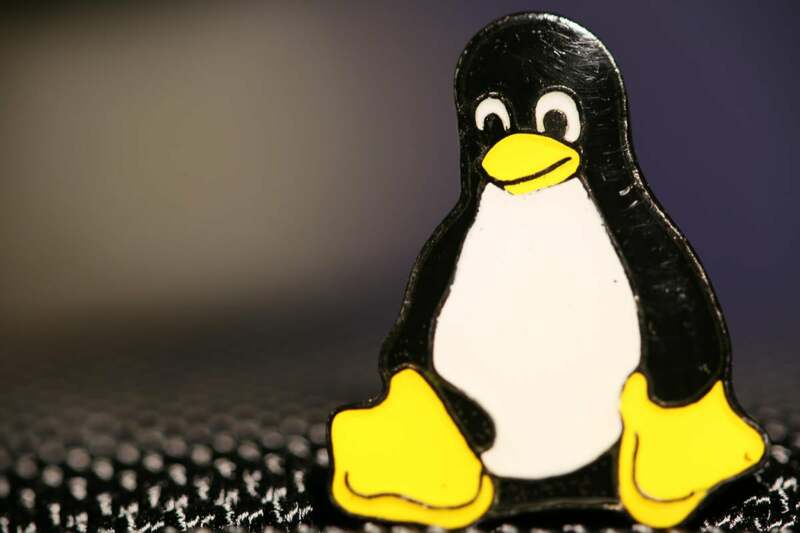 By joining the Linux Foundation, Microsoft is giving money to Linux kernel development, but it’s not clear how (or if) Microsoft will make efforts to improve the Linux desktop experience. 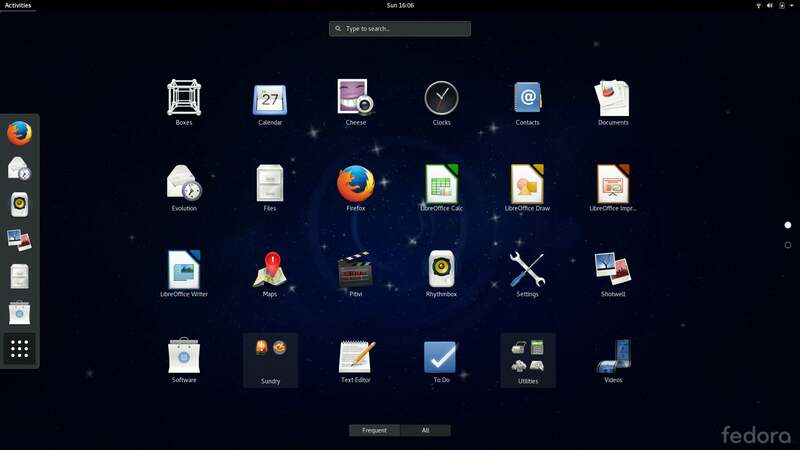 Life wasn’t easy for the GNOME 3 desktop environment when it was first released. It was buggy, a bit sluggish, and (the worst part) new and different. If you haven’t tried GNOME 3 in a while, it’s time to give it another go. GNOME hit version 3.20 back in March, and is up to 3.22 now. Some big improvements include support for Flatpak packages, enhanced desktop polish, and improved support for the Wayland display management system. KDE also continued the version march with the releases of Plasma 5.6, 5.7, and 5.8. With 5.7 and 5.8, KDE has greatly improved Wayland support. With both GNOME and KDE offering solid support for Wayland, the aging X Window System may begin to fade. It was a big year for Mozilla’s Firefox browser, and 2016 held mostly good news for the flaming canid. In February, Mozilla began thawing its relationship with the Debian project. (Ubuntu is based on Debian.) Due to a licensing conflict concerning logos and branding, Debian had been redistributing Firefox as Iceweasel since 2004. A recent change in how Mozilla licenses the Firefox branding and trademark is allowing Debian to distribute the browser (and other Mozilla applications) using its true name. Firefox for Linux finally got a security update for Adobe Flash. Though Mozilla has been trying to push HTML5 video standards for some time, some websites still stubbornly require the plugin. Firefox also announced that it would support digital rights management (DRM) encrypted media. While this was an undertandably controversial move to some in the free and open-source software community (many of whom decry DRM as evil), it ultimately allows users to watch Amazon Prime Video and Netflix without the workarounds needed to install Microsoft Silverlight and other plugins. One thing that has driven me crazy about Skype was that for a long time, the Linux client was old and outdated, and didn’t scale well with hiDPI displays. Microsoft went ahead and fixed that by developing a web-based Skype client that allows Chromebooks and Linux users to make calls.The client works equally well in Chrome (Chromium) and Firefox for Linux. 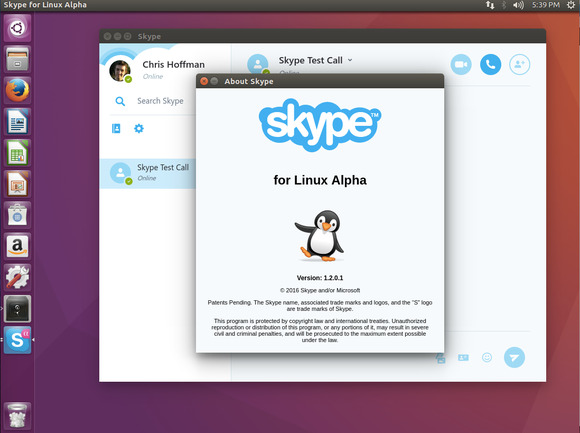 In addition to the new application, Microsoft released a new Skype for Linux alpha (which is basically just a wrapper for the web client). Microsoft promised regular updates to the native client, and seems to be following through thus far. Sadly, it’s an old story that Linux users often have to resort to using web applications due to the lack of native support. Spotify highlighted this fact when the company revealed there had not been a dedicated developer for the Linux application for a year. In keeping with tradition, this year saw a new long-term support (LTS) version of Ubuntu for 2016—Ubuntu 16.04 LTS, code-named Xenial Xerus. Ubuntu has made a pattern of releasing LTS versions on even years, usually in April—thus version numbers 12.04, 14.04, and 16.04. Ubuntu’s LTS versions are supported for five years, and this iteration brought some new features for the desktop. Support for ZFS was added, though the licensing for the filesystem was seen as incompatible with the GNU General Public License. Ubuntu also replaced the Software Center with GNOME’s Software application. By going with a standardized software store application, a user who switches from Ubuntu to Fedora (or vice versa) will now encounter a familiar interface for installing software. Ubuntu 16.04 also introduced Ubuntu Snaps, a software package format that aims to be cross-platform and unify the way Linux applications are distributed. A point release in July (16.04.1) added support for Snaps in GNOME Software for Ubuntu. Linux Mint also got updated, to version 18, following the release of 16.04. 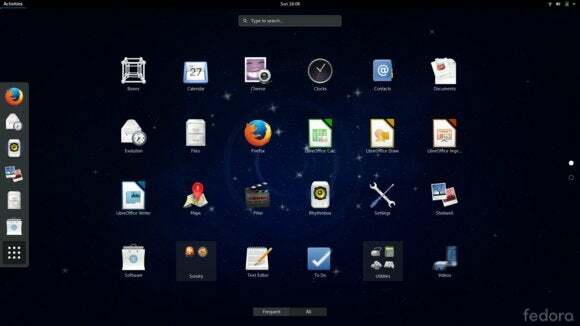 Mint is an Ubuntu-based distribution that favors the Cinnamon and MATE desktops of Ubuntu’s Unity. Red Hat’s Fedora is a Linux distribution the company develops with the support of its community. While Fedora is great and stable by itself, the OS also serves a proving ground for software before it’s included in Red Hat’s Enterprise Linux. And this year, Fedora turned 25, bringing with it an added level of maturity and ease-of-use befitting its age. Fedora actually released two versions this year: 24 and 25. Fedora 24 shipped with GNOME 3.20 and some tweaks under the hood, but the real show stopper was Fedora 25. It shipped with the Wayland display server enabled by default, supplanting the aging X Window System. 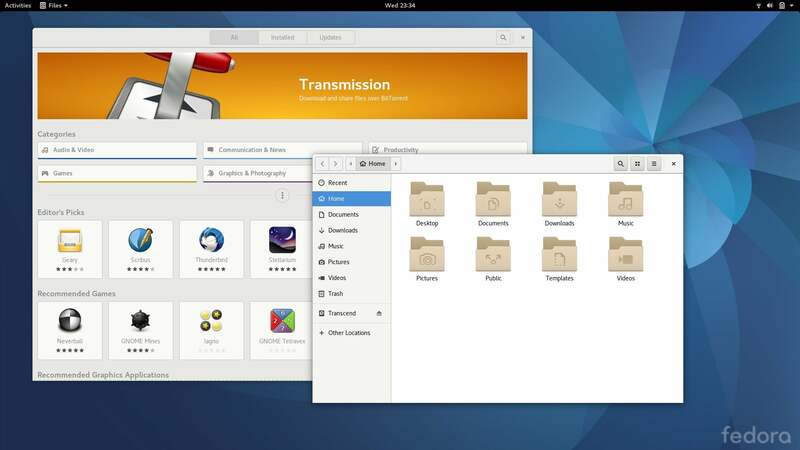 Fedora also introduced support for Flatpak—its answer to Ubuntu’s Snaps—as well as GNOME 3.22. The Fedora project also released the Fedora media creation tool, which made installation of the OS the best experience installing Linux thus far. 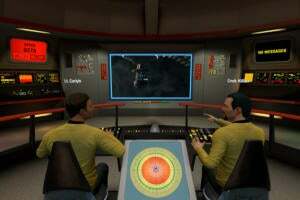 Vulkan is a new cross-platform API that is the descendant of OpenGL. 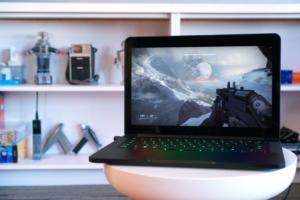 Even though Vulkan is still young, developers of the API are working on Vulkan Next, which will be the, well, next version of Vulkan with increased support for virtual-reality, multiple-GPU gaming PCs that use AMD’s Crossfire or Nvidia’s SLI. 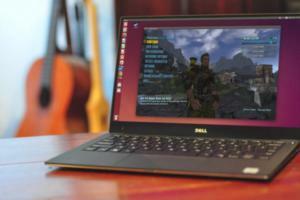 Valve’s Linux-based SteamOS added support for Vulkan in February. Even with support for Linux gaming gaining a bit of steam, developers didn’t deliver on promises to release big titles like Batman: Arkham Knight and The Witcher 3: Wild Hunt to Linux. Linux, it seems, still suffers from a chicken-or-egg problem when it comes to games: Developers won’t make games unless there’s a big enough audience, and there won’t be a big enough audience until the games are available for Linux. It seems that ever since Docker began popularizing containerized apps a couple years ago, the idea of having self-contained applications really caught on. With Docker, a user doesn’t need to worry about package and library compatibility, since each container can come included with or pull the libraries it needs to work. The thing was, this convenience was largely the realm of servers. Until Snaps appeared. Ubuntu 16.04 included support for Snaps, which was a way for developers to distribute desktop applications in a manner similar to Docker. Ubuntu even built support for the new format into its version of the GNOME Software application. Since Snaps can bring along runtimes and libriaries that an application needs, there’s no need to distinguish between distributions. This is why Ubuntu-maker Canonical hopes that Snaps will unify the fractured packaging landscape that users and developers have to deal with today. Fedora 25 saw Ubuntu’s Snaps and raised it on freedom, introducing support for Flatpak, another universal package format that will compete with Snaps. Among Red Hat’s complaints with Snaps was the requirement that developers sign Canonical’s Contributor License Agreement, a point of contention for many in the free-software community. Like Snaps, Flatpak aims for cross-distribution, and Fedora built support for Flatpak into the GNOME Software application. Besides giving people a reason to work on GNOME Software’s code, Snaps and Flatpaks both aim to make applications more secure by sandboxing them. This sandboxing is akin to running applications in a pseudo-virtual machine to isolate them from the system and one another. The problem with Snaps and Flatpaks is that these security features are nixed if the user runs X Window System (which is why Red Hat shipped Fedora 25 running Wayland by default). When it comes to servers, Linux is the undisputed champion of the internet. When it comes to the desktop, Linux market share drops sharply. Once you get to mobile, non-Android Linux operating systems are a miniscule minority, living under the overwhelming shadows of Android and iOS. Despite serious efforts, alternative Linux-based mobile operating systems weren’t able to get a good foothold in 2016. In September, Mozilla discontinued development of its FirefoxOS, which was aimed at low-cost devices. Canonical only managed slightly better with its Ubuntu-based devices. 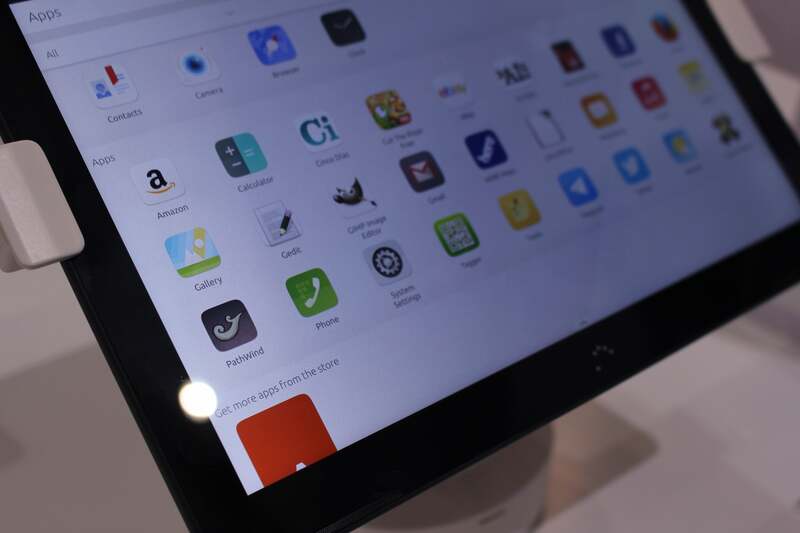 The Bq Aquarius M10 tablet was the big debut for Ubuntu on tablets, and it promised to help Ubuntu’s goal of convergence—that is, continuity across phones, tablets, and PCs. The effort didn’t quite bear fruit, since the Unity 8 converged desktop wasn’t quite finished when Ubuntu 16.04 was released in April. The M10 also has usability issues that held it back from being a true competitor to tablets like the iPad and Kindle Fire. Cybersecurity—or lack thereof—was a recurring theme in the tech news of 2016. When it came to Linux, there seemed to be vunlerability after vulnerability that could put users at risk. Every so often, a vulnerability gets a catchy name, like the Dirty COW vulnerability that was patched after being present in the Linux kernel for nine years. The good thing about these vulnerabilities is that they are generally patched quickly after they are discovered. The problem is that users have to patch their kernels to realize the security benefits. For users of desktop Linux and system administrators, this is generally not a big deal, since knowing how to update the packages on a system is one of the basic skills a Linux user should know. However, Internet of Things (IoT) devices are nototiously difficult for the end user to keep updated because of the lack of access to an interface that allows it. (After all, not everyone knows how to SSH or telnet into their security camera, say.) The DDoS attack on the DynDNS service was blamed partly on a botnet that propogated through unpatched and unprotected IoT devices. Fedora’s project leader Matthew Miller told World Beyond Windows in an interview that he had concerns about security in the IoT ecosystem. 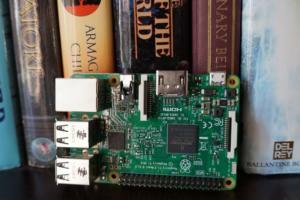 The takeaway for desktop Linux users? Just because you use Linux does not mean you’re exempt from the need to keep your system current. This practice is often hammered into Windows users, but Linux users need to to be just as vigilant about installing security updates whenever available.